To all who came to Split This Rock Poetry Festival 2016: Poems of Provocation & Witness with your full spirits, we offer our deep thanks for the care and thought you brought to session presentations, your generosity of intellect in sessions and workshops, your energy and attention that infused each reading with magic, and your willingness to get in the moment and make the festival so extraordinary. The festival reminds us we have a huge, brave, gorgeous kindred of poets and activists, that when we are together everything is possible. Deborah A. Miranda at the blog Bad NDNS summed up her first festival experience saying, “If you don’t hear from me again, know that I went up in flames, willingly.” We know the staff and volunteers felt that way, too. 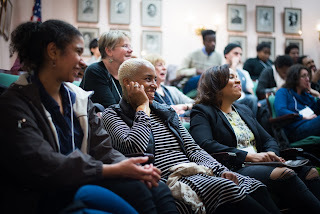 We couldn’t get enough of the poetry, the exploration, the joy of being in such magnificent company. We'll be posting more photos and reports and video in the weeks ahead. Keep an eye out! From Dan Wilcox who offered a reflective series of posts on each day of the festival at DWX: “Another fabulous reading, at the end of a fabulous day, at the end of fabulous Festival — Thank you movers & shakers & planners of Split This Rock! (did I say it was fabulous?). 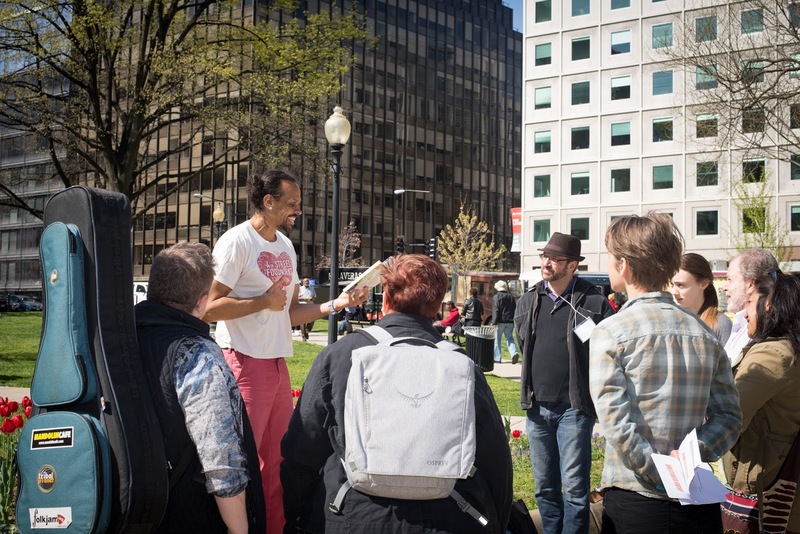 Keep at it.” -- Read each day's post, starting with Dan's experience at the Library of Congress kick-off event with Poet Laureate Juan Felipe Herrera, at the DWX blog in the archive for April 2016. If you attended the festival, keep an eye out for the evaluation form. We love and cherish and honor your feedback! Chen Chen offered the comments he shared as part of the festival panel "Bois in Color – A Reading on Queerness & Race” on his website. 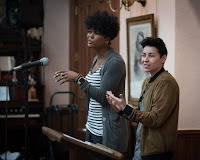 with Ocean Vuong at PRI’s The World. Follow #SplitThisRock2016 to find other blogs, comments, photos, and more. 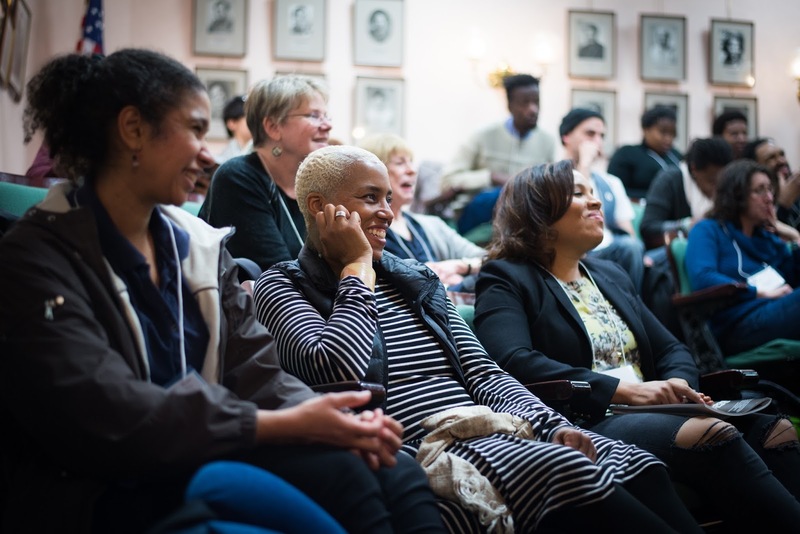 This conversation is one in a series of interviews with poets to be featured at Split This Rock Poetry Festival 2016: Poems of Provocation & Witness. Complete information about the festival can be found on the website. Follow the 2016 Fest Interview tag to find all the previous interviews. Narges Shafeghati (NS): Do you remember the first poem you’ve ever written? (If yes,)What made it a poem/ Who called it a poem? Who made you write it? 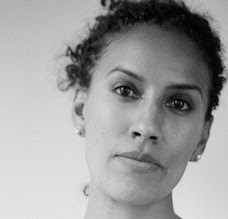 Aracelis Girmay (AG): I do not remember the first poem I've ever written (I don't think). But I do remember clearly the red typewriter my Aunt Pat gave me in 7th grade. It was her typewriter at her bank job. And then it came to be mine. I loved that typewriter. The mechanism. The machine of it. The color. The clunk and work. The effort of it and the effort it required of me. I wrote several things using that typewriter but the one I remember most was the tiny little square of text about a friend's suffering in the domestic realm. Now, looking back, I think I made it so small to get some power over a sadness that felt forever and engulfing. The poem for me, then, was about smallness (that was what a poem meant to me, I suppose). That smallness helped the world and fact of it seem more navigable. NS: What role did your parents or the closest people to you play on your path to discover your inner poet? AG: What an immensely beautiful and powerful question. Thank you, Narges. Both my parents are wonderful storytellers. As they are talking/telling story, they are simultaneously transported into the realm of the story or history. Growing up, my brother and I were constantly asking for stories and/or listening in on the stories the adults were telling each other in the front seats of the car or around a table or at a barbecue or party. I have always loved the turns of phrases, the small details of each person's way of seeing, saying. A grandmother's gesture, the wideness of Aunt Darlene's smile as she talked about a book. There were poets around me. Everywhere. Makers of dinners and stories. Artists. Dancers. Dressers. A community of family and friends who could keep telling the same story again and again and again in different ways even though we were all there when the story took place. I love that. That way of sharing, again and again, what we all felt/saw happened... as if to say, Can you believe it? --or--Do you remember? Don't ever forget. --or--I was Here once. And you were Here. And we were Here. NS: What made you want to be a teacher? AG: I want to be a part of the world/community who nourishes imagination and love and kindness and bright rigor and curiosity--especially with/for young people. Teaching seemed a way to do this. Also, teaching was a way to be around people who are constantly (and vulnerably) trying, working Toward together. NS: How do you nowadays show your love, affection, gratitude to dear ones? What is your favorite way of doing so? AG: I love, love writing letters. Sealing the envelope. Choosing a beautiful stamp then dropping it all in the blue postal box on a corner here or there. I also love flowers--bringing flowers to someone dear. Or making butter cake with Nutella icing and berries (black, raspberry) and maybe a flower here or there on its butter cake-with -icing hair. There was a year when I was making a lot of flan, but I have moved out of that year into this new one with butter cake. I also sometimes (though rarely these last years) make collages/cards. Tangerines and lemons are also the perfect, perfect gifts--especially in snow and winter. That shock of brightness. AG: Smiling. In and with my mind saying Thank You. Stopping someone to say, Oh! Talking when it is right to talk beside and with. Writing poems often. Poems that are odes to strangers or full of lessons that they helped me to understand whether or not they knew that they were teaching me to see. NS: What is your relationship with the Middle East and Sudan? Is there personal experience or only empathy behind the poems in TEETH? AG: I have never been to Sudan but it is near my father's country, Eritrea, and is, especially since the struggle for independence and the refugees who moved to/through Sudan from Eritrea, forever holding hands with Eritrea. The questions I am asking in these poems (questions about displacement, exile, state-sanctioned violences, and then beautiful, subversive acts of possibility and remembering) are part of a river of questions that I am asking/thinking about throughout my work and in relation to Palestine, yes, and Sudan, and Eritrea, and the United States, and Puerto Rico. It is important for me to think about the ways that all of these stories are connected even though history books have bullied me into thinking that I was wrong to connect them. NS: What would the ideal gender (equality) education look like to you when it comes to raising your own kids? What would be self-evident to your kids and what would freedom for them look like? AG: This question is immense and beautiful and big. I must take more time to think about what I would like to share here. NS: Lastly, what ADVICE would you personally consider most important TO A YOUNG POET who is, especially regarding her dream to teach poetry as a liberating force and life-changing element, yet SEEKING A BALANCE BETWEEN a full dedication to serving and enabling art AND the need of self-expression and concentrating on personal artistic development. AG: The one thing I would say to myself if a version of me were asking this question (and I suppose this is true, I do carry/have carried this question) is: how are all of these elements part of the same thread? Isn't there a way that the nurturing one's teaching is also the nurturing of one's artistic practice? And vice versa. I can only speak for myself: I am the best, most alive and asking writer when I am working in community (reading with others, writing and sharing with others, thinking through questions across/through several fields and disciplines). I feel most liberated (or close to liberated... on a kind of brink) when everyone is teaching/might teach and is learning/might learn. For me, it is not difficult to work in community but also to carve out space to work on one's own (partially because I think teaching necessitates reflection just as writing necessitates reflection/revision and so this time/this balancing is built in). Where things become tricky for me is when money is part of the equation. Figuring out how to balance the amount of money/work it takes to pay bills with the desire/impulse to work on quieter personal projects is consistently difficult. I hate that this is true. One thing I am asking is, How do I make sure to value this quiet non-paid time and really respect/carve out time to be quiet in the reflection or the experimenting with the making of work--realizing that it is absolutely antithetical to what the culture of capitalism (as my colleague N. A. often says) expects from us and how we are expected to think about valuing our sense of time. Narges Shafeghati, 23, is the eldest of a Muslim Iranian couple, a designer and a poet. Born and raised in Germany, she is currently finishing her undergrad in the Expressive Arts in Social Transformation in Hamburg. Narges is a poet, a pluralist, and a dreamer. She is fluent in and in love with German, Farsi and English, learning Hebrew, and working on translating Persian and German poetry and prose. From Oct'15-Feb'16 Narges was a full-time intern with Split This Rock in DC, where she experienced her dream work environment, made lovely friends, met her dream colleagues, AND the love of her life. Reginald Dwayne Betts is a writer and poet. Four Way Books recently released his second collection of poems,Bastards of the Reagan Era. His first collection, Shahid Reads His Own Palm, won the Beatrice Hawley Award. Betts’ memoir, A Question of Freedom: A Memoir of Learning, Survival, and Coming of Age in Prison, was the recipient of the 2010 NAACP Image Award for non-fiction. His writing has also led to a Soros Justice Fellowship, a Radcliffe Fellowship, a Ruth Lily Fellowship, and a Pushcart Prize. 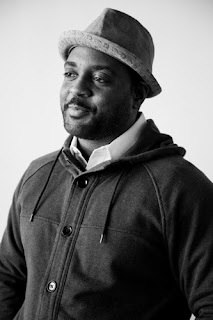 In addition to his writing, Mr. Betts serves as the national spokesperson for the Campaign for Youth Justice and was appointed to the Coordinating Council of the Office of Juvenile Justice and Delinquency Prevention by President Barack Obama. He is currently a student at Yale Law School. KB: So, I'm a neuroscientist and I recently started writing poetry again after a long hiatus. Last week, I told my sweetheart (who's also a scientist) that the inspiration for a new poem can often start from observing contradictions that no one else noticed. He remarked that this is often how a good scientific study also starts. Do you think of writing poetry as engaging in an experimental process, where one digs down to find out how different elements relate to each other? RDB: Partly, yes. But then I would argue that unlike the scientific process, some of the failures [in the] poems lead to some unexpected places have value in a way that might not be true for science. Almost as if I find myself hypothesizing that one thing will be true when I begin to write a poem, and when I discover how wrong I am, it’s not disaster as much as an unexpected discovery. Especially if we’re thinking about a series of poems and how meaning accretes across them. KB: When I read about your having trouble with the law at a young age and then ending up attending Yale Law School, it reminded me of a similarly public journey of another accomplished Black man: the scientist Carl Hart, who wrote in his book High Price about using and selling drugs as a teen and then becoming a research pharmacologist at Columbia University. It seems to me that both of these stories illustrate how we can become aware of a problem through our own experience and then develop a commitment to help others out of the same condition. Do you think that as a lawyer, your own history of resilience can inform the path of others who are struggling? How did you come to a place where you knew your life needed to be dedicated to helping others? RDB: I’m not sure. There are always these similarities that are most noticeable when people have experienced similar life-changing type experiences. And so yes, for me, prison irrevocably changed the way I view things and the way I operate in the world. That, more than resilience, informs what I will ultimately do and I hope that the things I do will speak to others, maybe inform their path, maybe frame their decision to take a different path. Maybe part of this is me being reluctant, also, to point to some internal quality like resilience that lead me to a number of unexpected career choices and professional opportunities. KB: You often tell the story that your life was changed when someone slid the anthology The Black Poets by Dudley Randall under the door of your cell when you were in prison. The ability of poetry to deeply affect prisoners has a long trajectory: Nelson Mandela spoke of reciting the inspiring "Invictus" poem by William Healy to fellow prisoners at Robben Island, and Aung San Suu Kyi wrote her own poetry about the political conditions in Burma. Closer to home, Jimmy Santiago Baca (who was one of our Featured Poets at the 2008 Split This Rock Festival) also tells of how he began writing poetry while in a maximum security prison in Arizona. What is it about poetry that is personally transforming for so many who are imprisoned? RDB: I don’t know. I do want to believe that poetry is personally transforming to some, especially in prison. But honestly, I’m not as convinced that this is true as your question suggests that you are. Mandela, Suu Kyi, Santiago Baca – these are exceptional people. The push towards poetry is an important one, but I probably am more concerned [about] the transformative quality of prison, because those transformations are frequently far more sinister and last longer than what poetry does. All of which is to say it’s dangerous to think of this gift in a way that shifts the discussion away from the monstrosity that is prison. KB: For a socially-engaged poet, there is a lived reality and yet there can be poetic license in our narratives, both personally and in terms of our writing. What do you think about the need for hard honesty in our work, as well as the use of softer symbolism that can convey hidden truths? RDB: I’m not sure what you mean by this question. First, I desperately want to dispel the notion that there is a difference between the socially-engaged poet and the poet who isn’t. Recognizing that to be socially-engaged can mean many things, I’m reluctant to push on this category. Especially given [that] the category doesn’t invite us to think of the commitment people have to their community by doing volunteer work, by tutoring, by doing community building that is distinct from advocacy work. Second, poetry is imagination. It is craft and music. All of it is poetic license. And so I’m not sure that there is a distinction between hard honesty or soft symbolism. I mean, I’m not really sure at all I know or can recognize a distinction between the two. What I do know is that there are lines in poems, like Lucille Clifton’s line: "mine already is an afrikan name". Or Joseph Brodsky’s: "I have braved, for want of wild beasts, steel cages". There are lines that remain in my head and grow not only to mean something but to shape how I recall certain moments of my life. KB: Is there a poem of yours that you wish more people were aware of? KB: The more that any of us read poetry, the more we can realize that there are writers from other eras who resonate with what we are attempting to do in our own work, even if the form is different. Are there any poets in the past who were representing their time the way you feel you are doing for your time? Or is there a poetic tradition that you feel you are keeping alive and hope to pass on? RDB: There are many poets. Lucille Clifton, Etheridge Knight, Henry Dumas. There is Sonia Sanchez, Ethelbert Miller, Wanda Coleman. Brodsky. Gilbert. Both Christopher and Jack. But claiming a tradition – I’m a young writer and so that’s a more complicated question because you have to earn the right to be a part of a tradition. I’ve written a few poems, but don’t think that I’ve gotten to the point where I can honestly say I am keeping anything alive. I’m just happy to be in conversation with my peers and the world at this point. fundraising and Festival committees. Kit is is a neuroscientist in the DC area who has also been an activist for peace and justice and for women’s reproductive health for over 30 years. 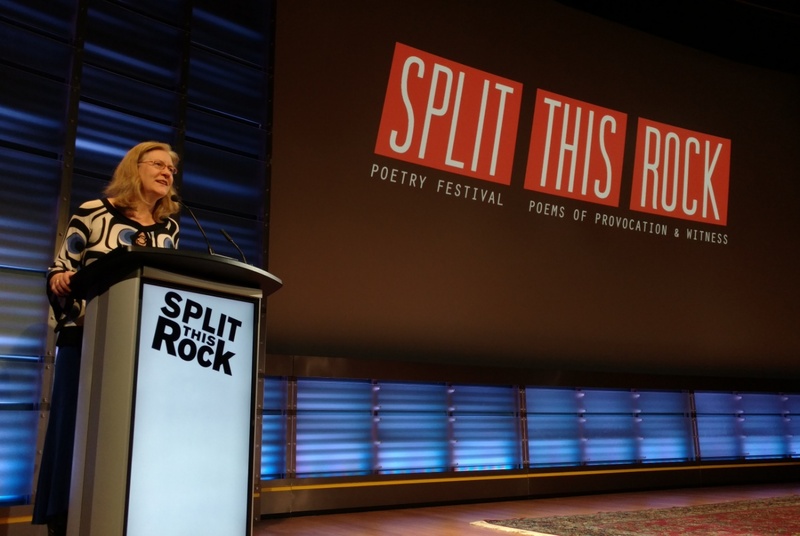 She is especially proud of initiating a collaboration between Split This Rock and the Abortion Care Network (a national group of independent providers and pro-choice supporters) for a Pro-choice Poetry Contest – now in its fifth year!